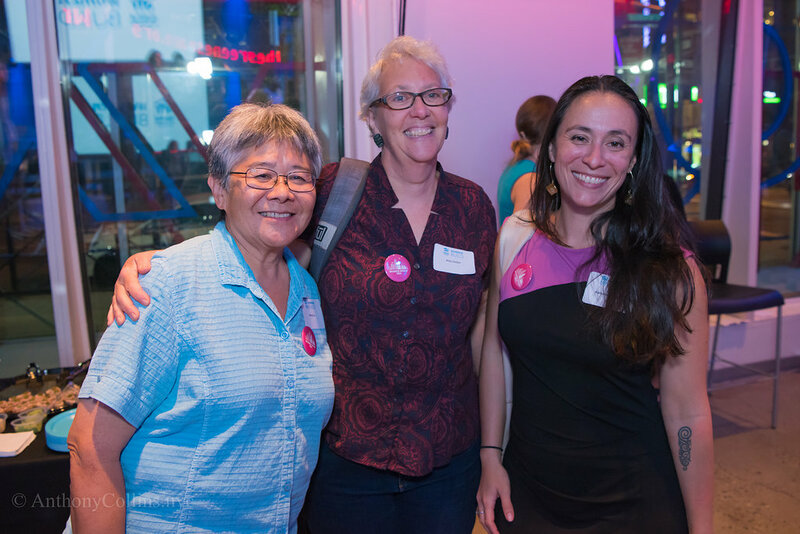 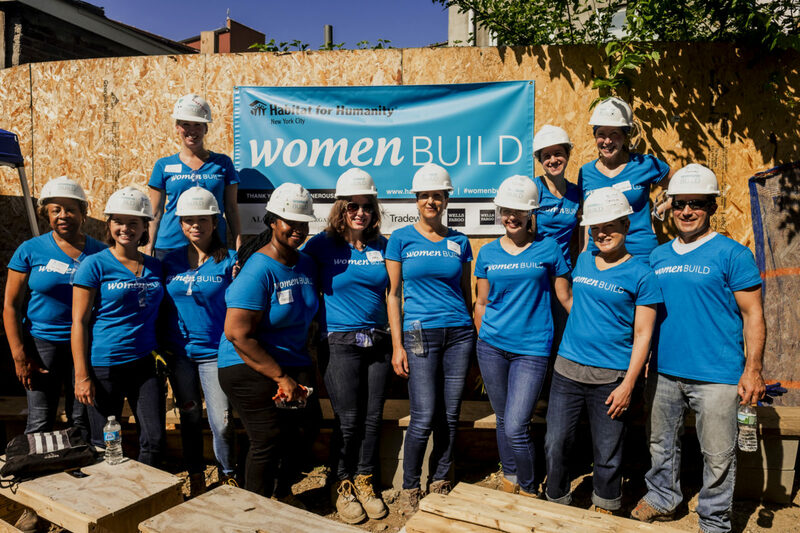 Women Build is a community of strong, dedicated women, coming together to be a force for good in ourselves and in our communities. 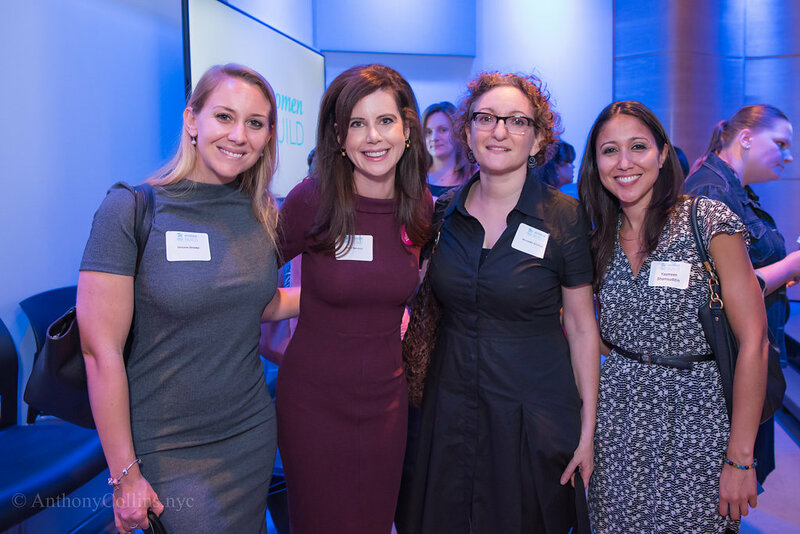 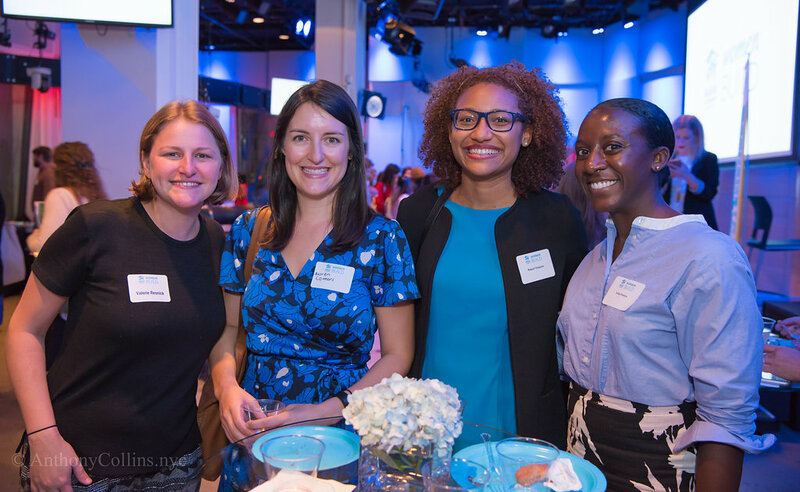 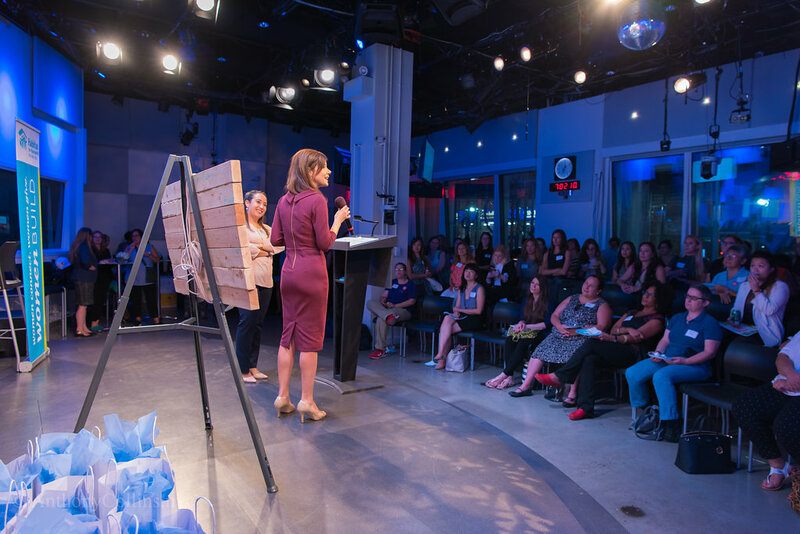 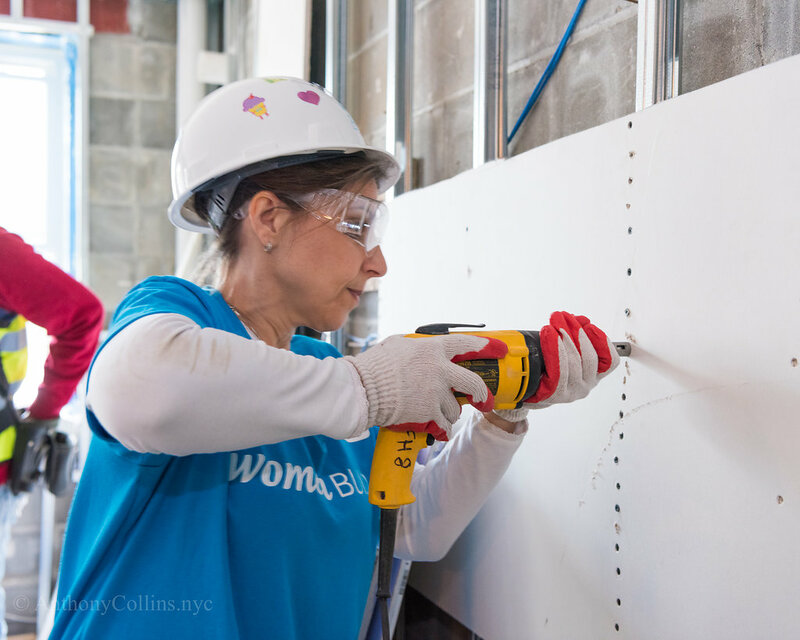 Women Build channels the power and energy of hundreds of New York City women to focus on something uplifting, and to lift up walls in our neighborhoods. 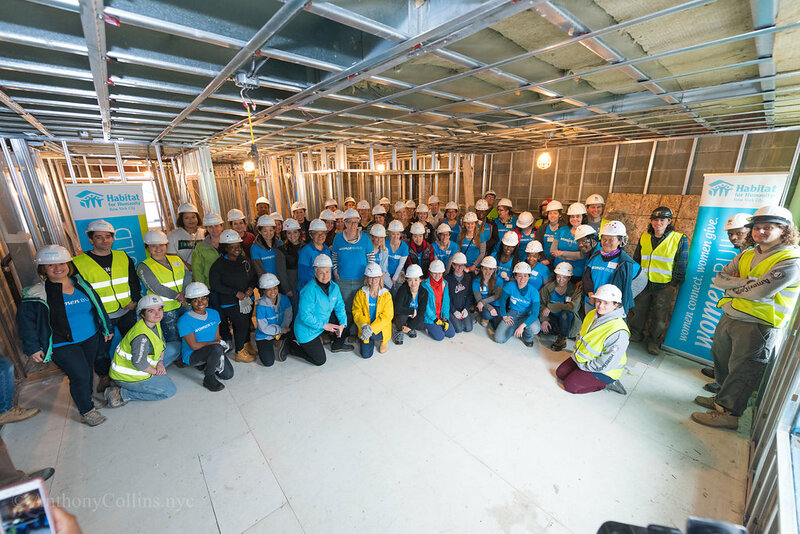 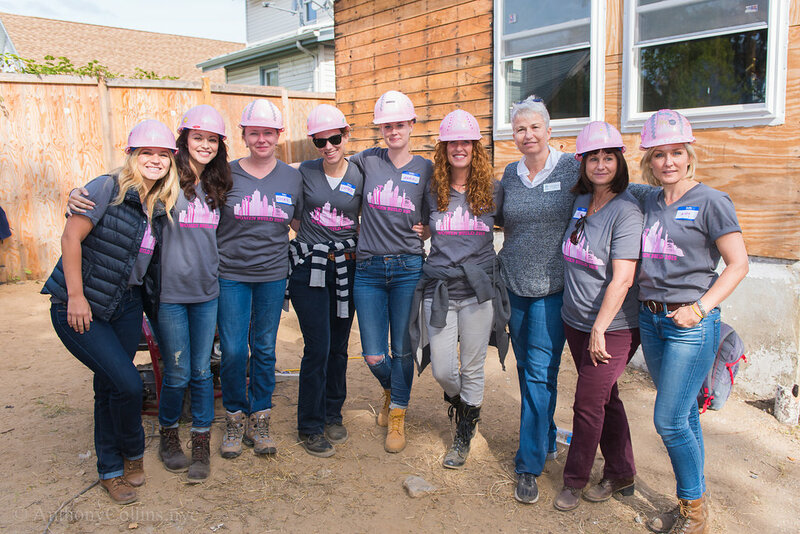 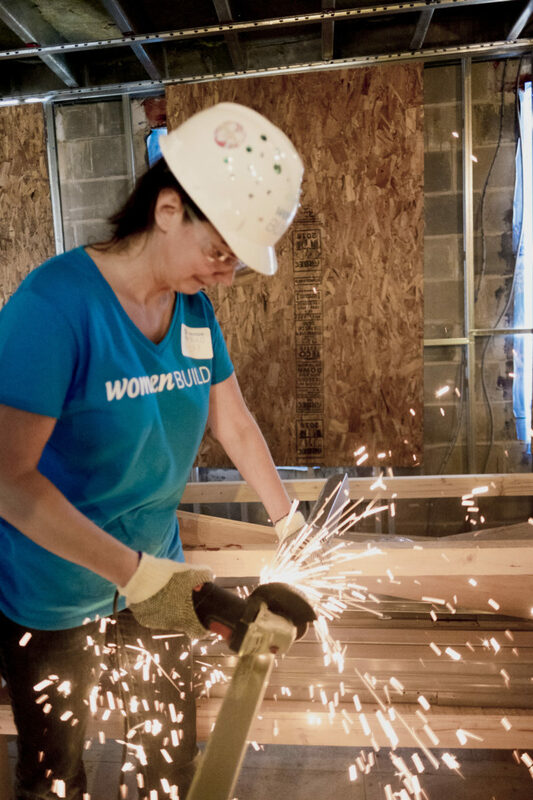 Women Builders connect, give and build. 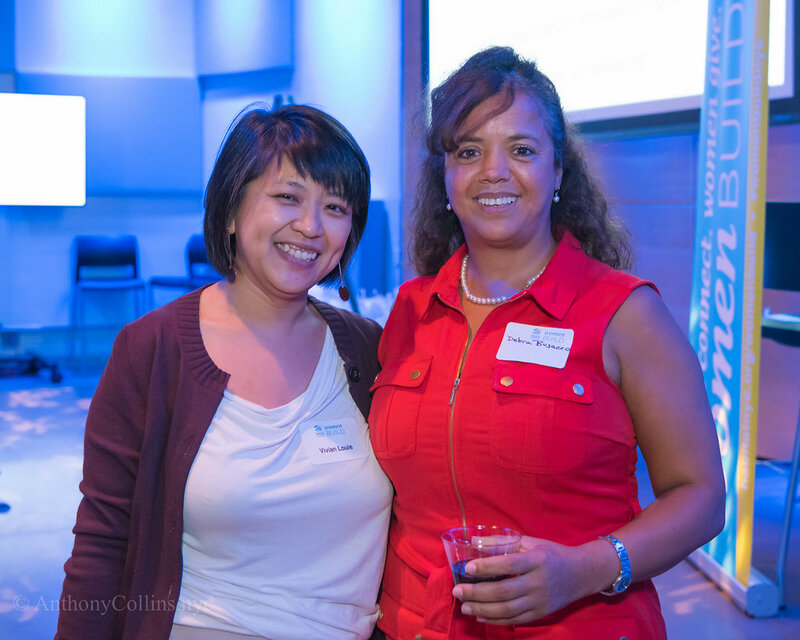 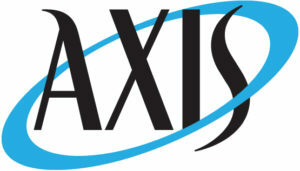 They connect with like-minded women, give joy to others and build friendships. 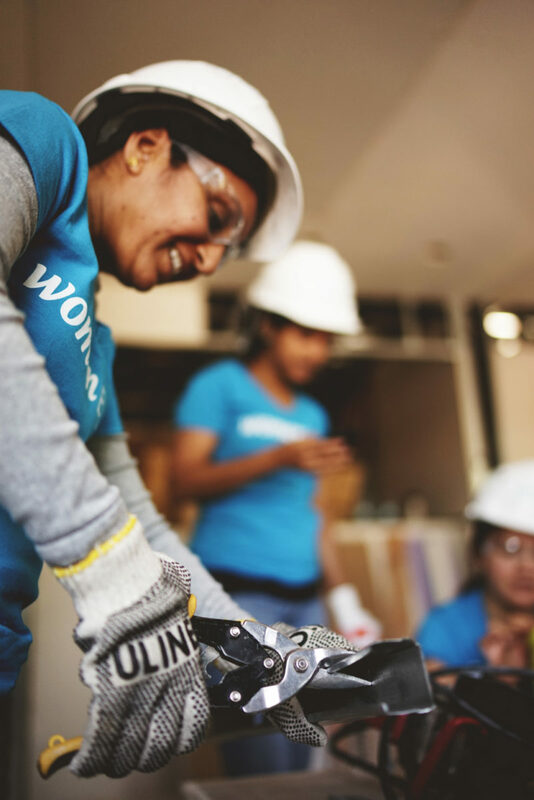 They change their lives and our world. 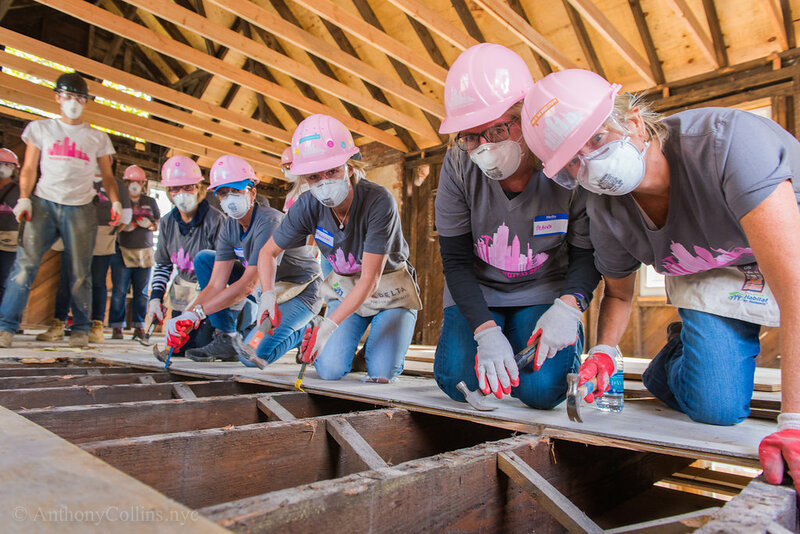 They care for themselves, for one another, and for women across our city. 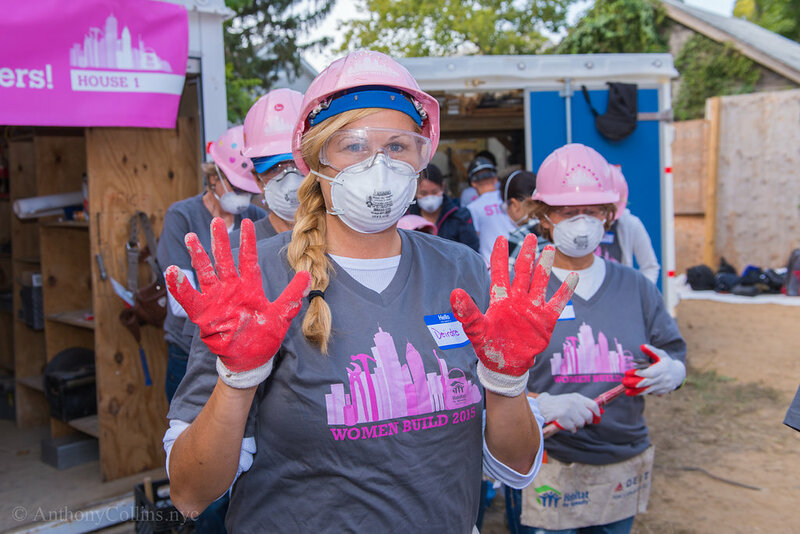 Women Builders also get dirty. 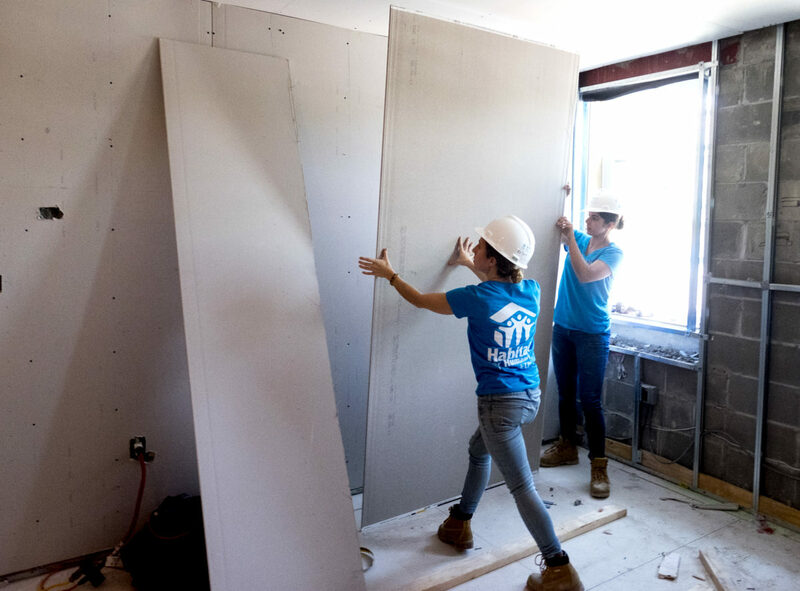 We put our muscles where our mouths are and build homes and communities. 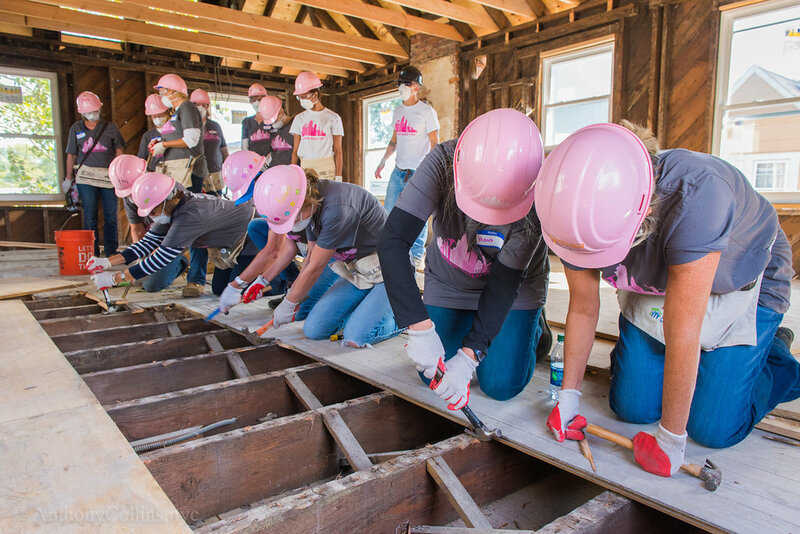 As we help others, we help ourselves. 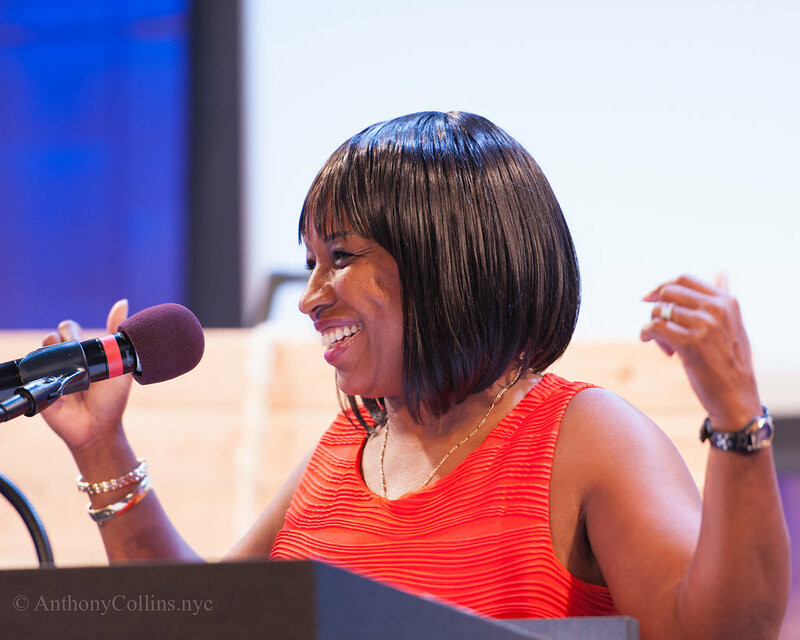 We learn new things, we push ourselves. 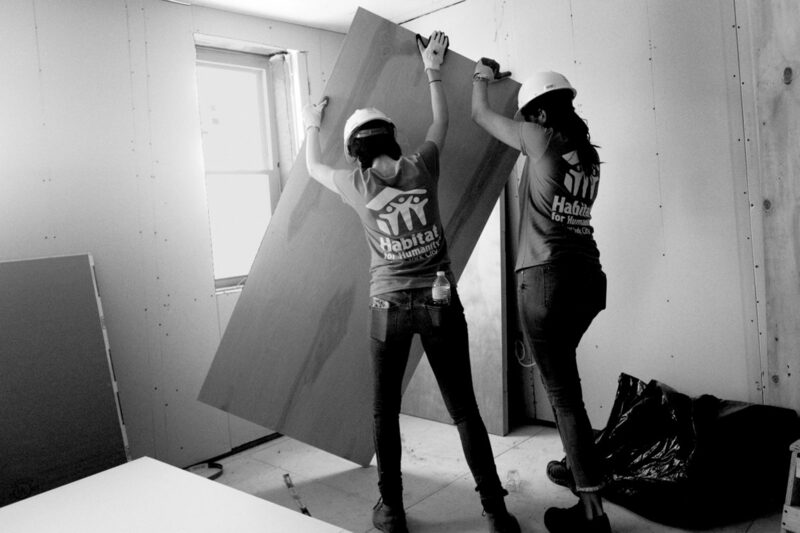 We know how to tile bathrooms, how to lay hardwood floor, how to be the boss. 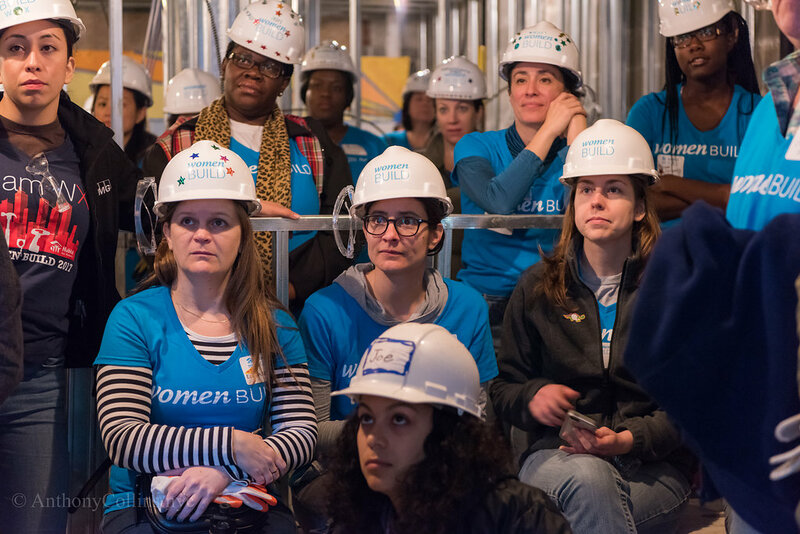 Women Build keeps members engaged all year long, through an online community of curated conversation, and through networking and social events. 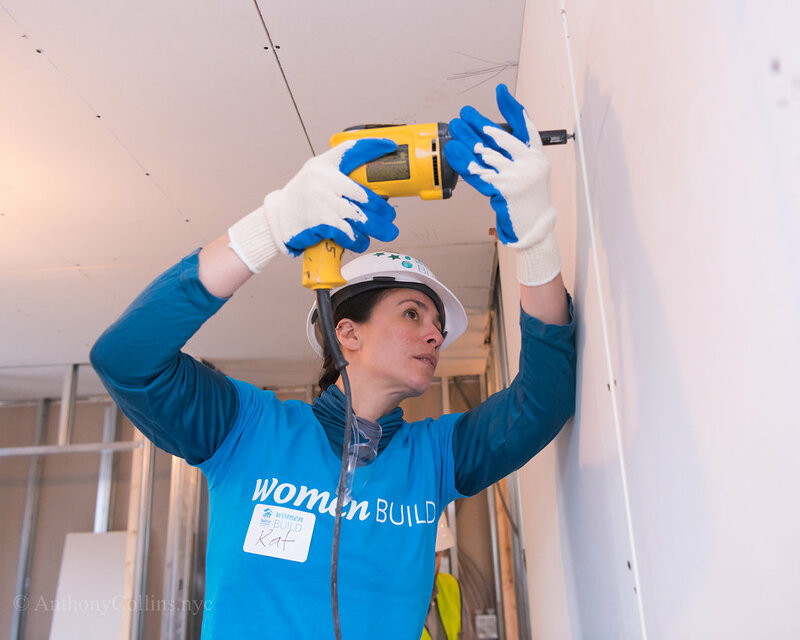 Habitat for Humanity New York City is a women-led non-profit that serves women – 80% of our homeowners are single female heads of households. 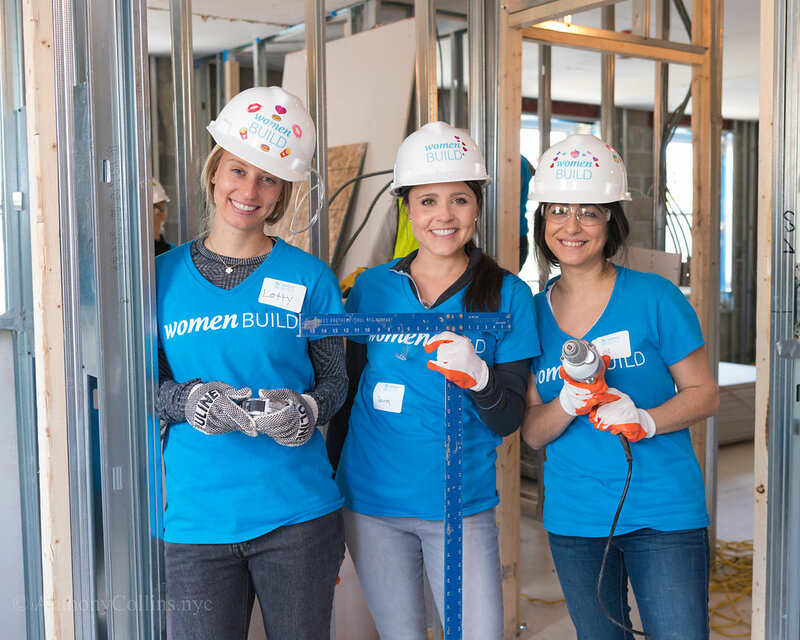 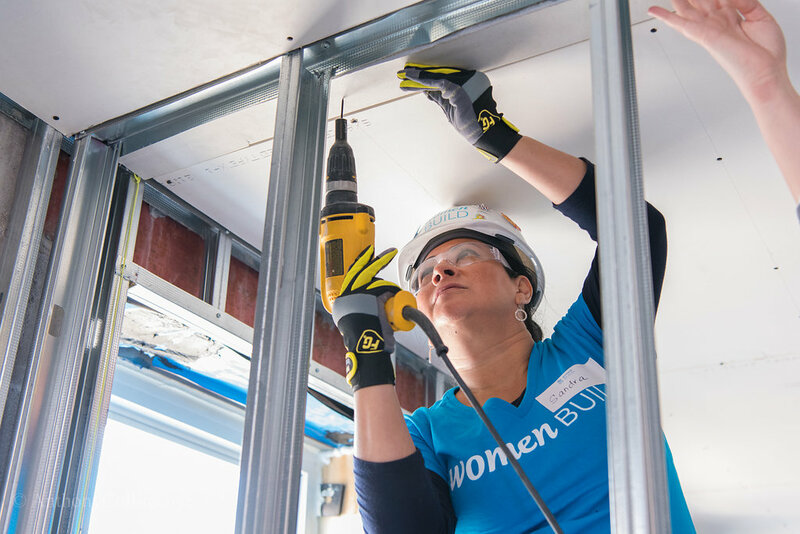 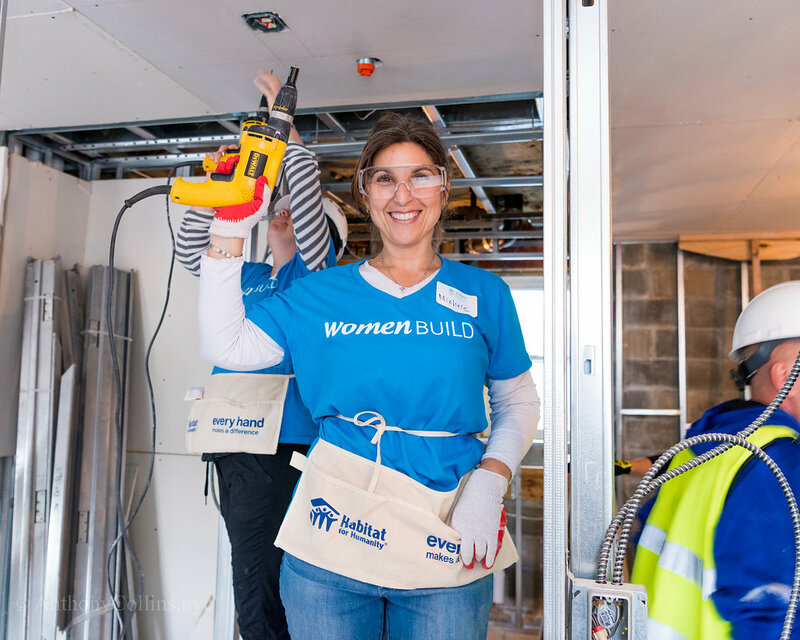 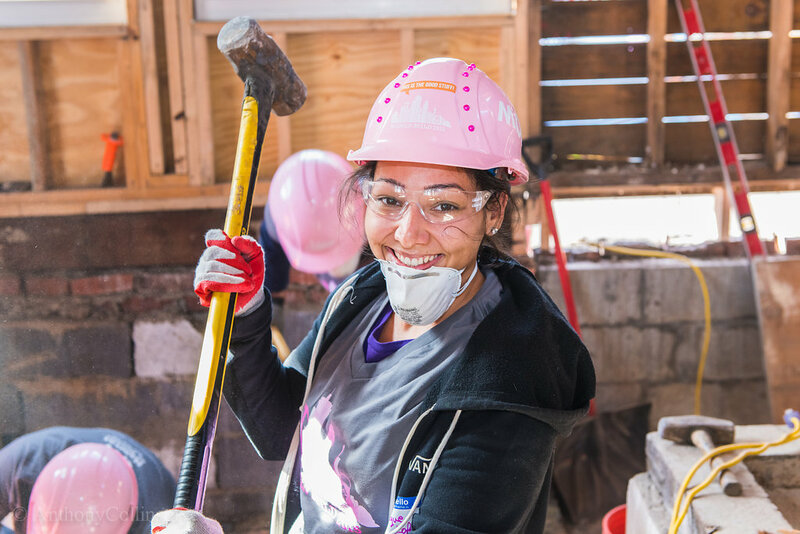 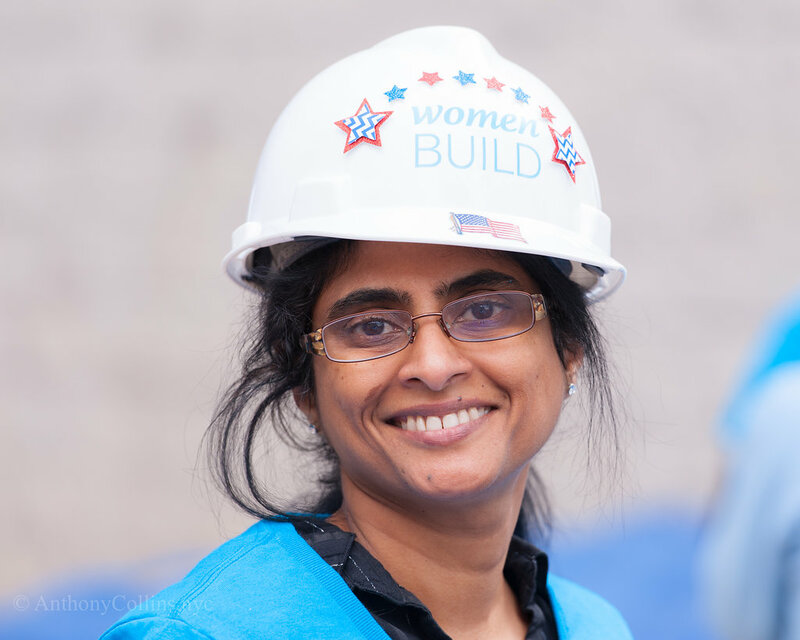 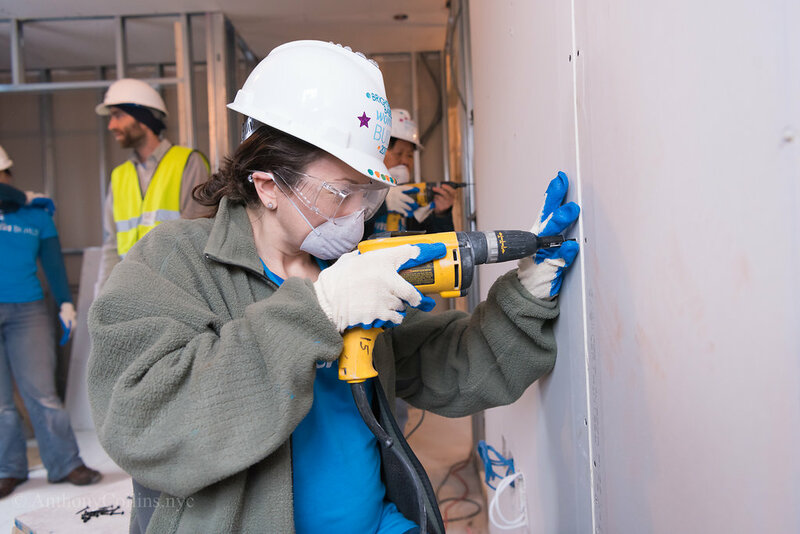 As an organization that knows the importance of empowering women, it should come as no surprise that Women Build is an integral part of Habitat NYC. 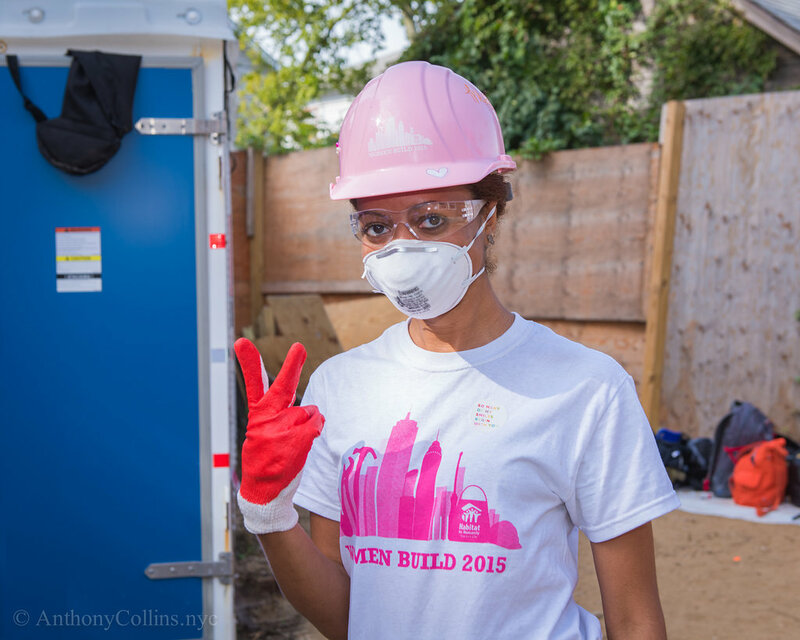 Sign up for Women Build and Save the Date! 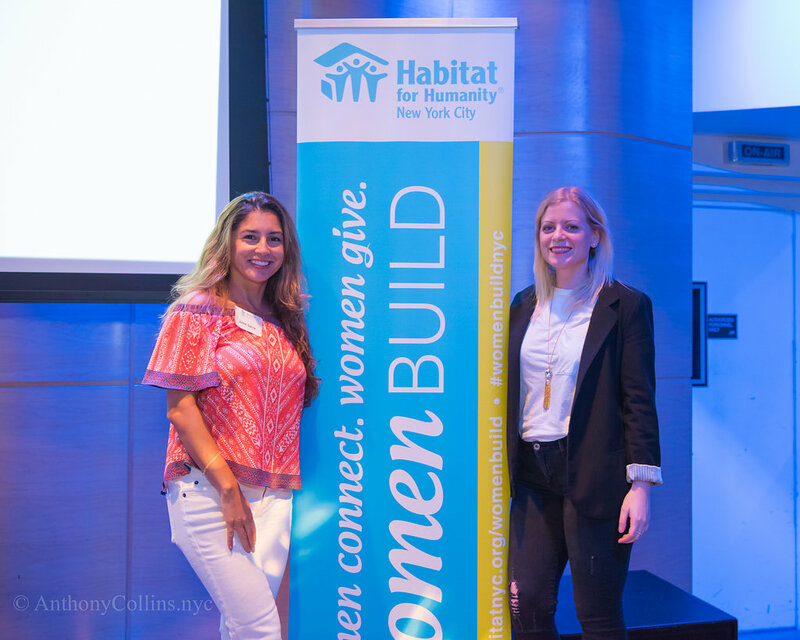 Thanks to our 2018-2019 Women Build sponsors! 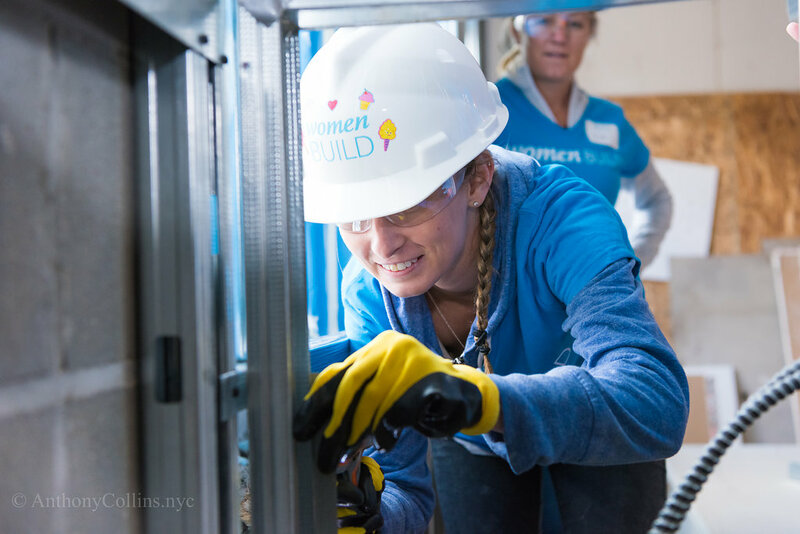 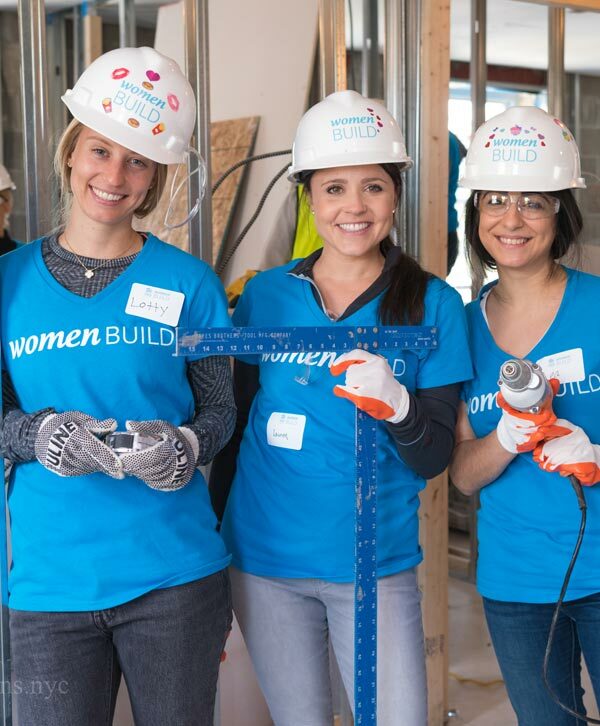 Already signed up for the 2018-2019 Women Build season? 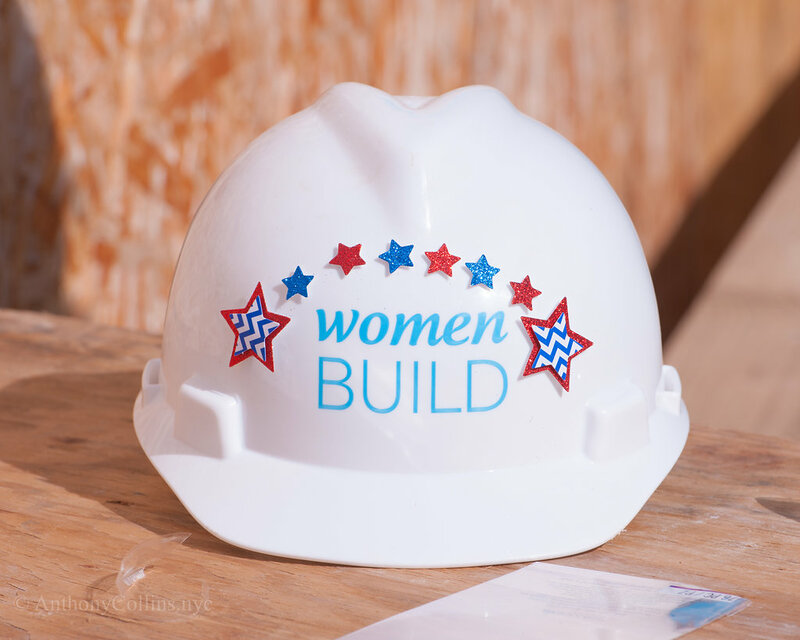 Click here for resources for Women Builders!